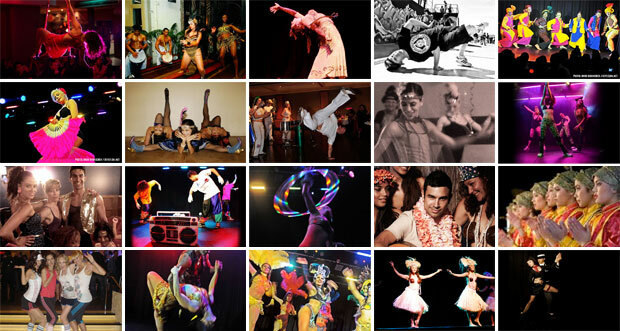 Dance is a great way to create energy, excitement, impact and atmosphere at your next event. Our friendly, reliable and efficient team has a wealth of dance and entertainment industry experience, and can advise you on how to best incorporate dance entertainment with your function. Whether you are thinking stage show, roving performers or even a group dance class for your guests, we work with you to create an entertainment solution that’s stylish, logistically sound, and within budget! Click on the widgets to view information on different Entertainment styles. You make your selection below and follow the prompts to book.